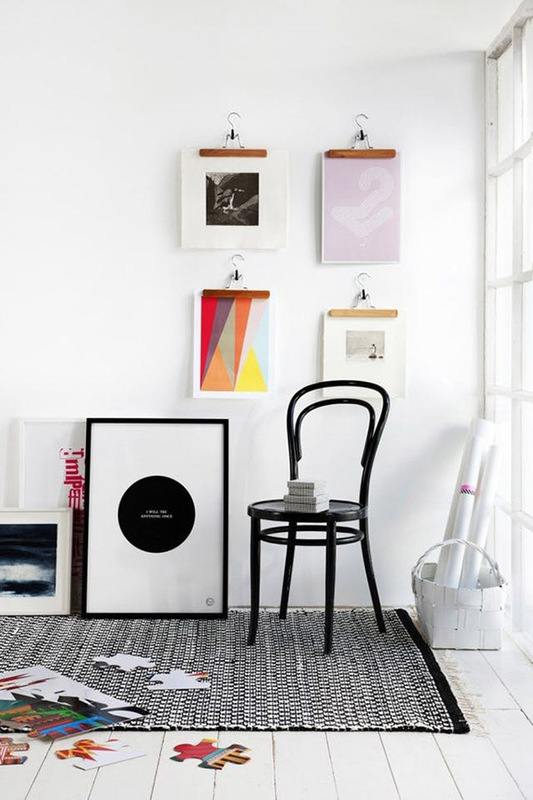 Interior: Hanging art without putting a hole in the wall. 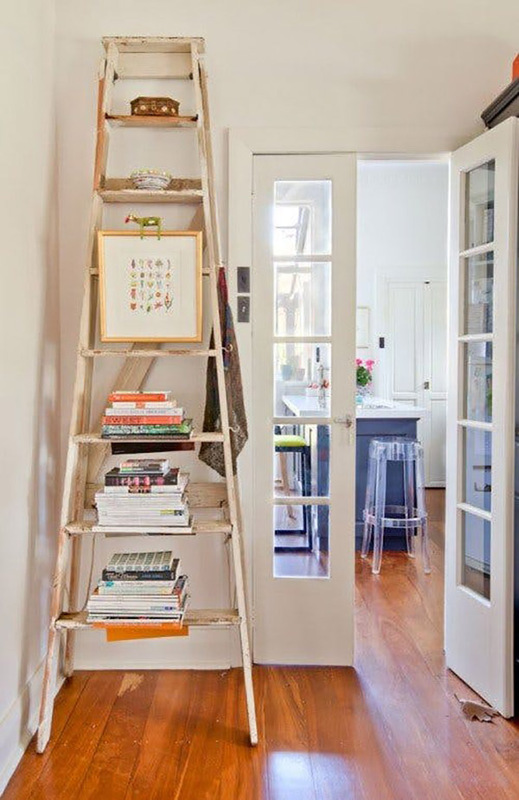 Displaying your art collection doesn’t always require hammering a hole into the wall. 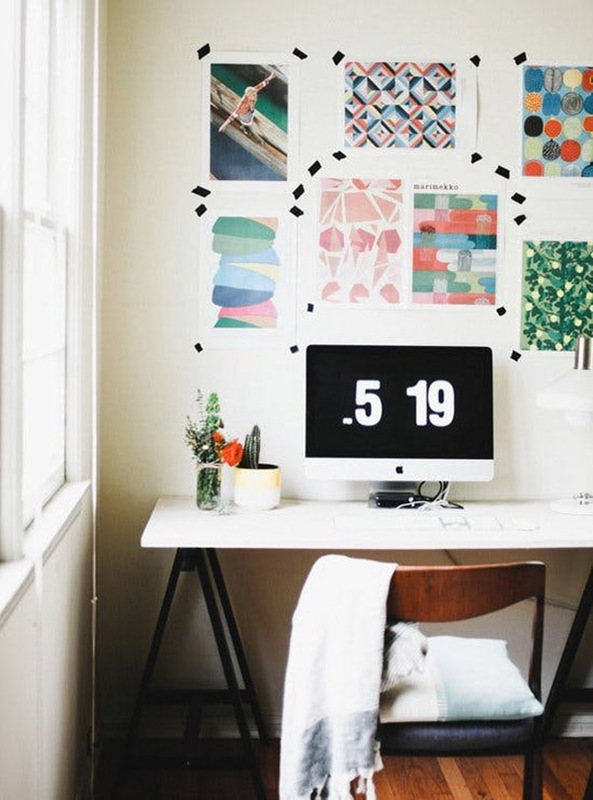 Whether you’re renting or moving into a new apartment where the walls are made of nail-unfriendly material, you’ve got to get creative to avoid staring at blank walls. 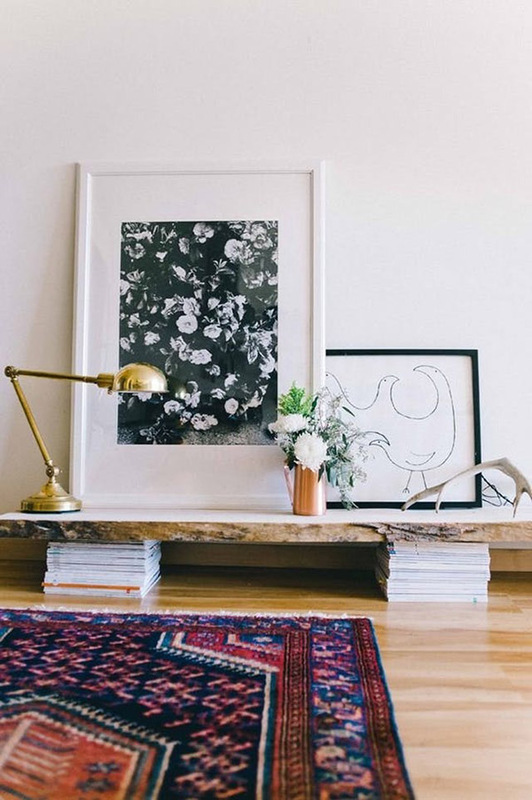 We’ve come across a few ideas that will help you display your art collection and add personality back into the room without damaging the walls.